Aalto Fellows Excursion at Fingertip! This week Aalto Fellows visited the cool premises of Fingertip at Telakkaranta, where I have been working with another Aalto Fellow Matilde Pelkonen! This was the second excursion of the summer and it starts to become competitive who hosts the best events. These excursions are also an excellent way to catch up with each other and hear how everyone is getting forward with their projects. Fingertip (https://www.fingertip.org/) works with the Future of Decision-Making, creating a cloud service to solve decision-making problems in organizations. 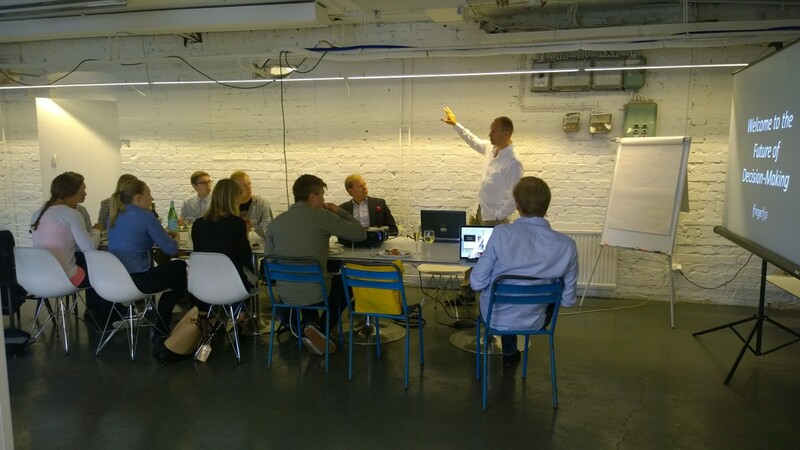 Jaakko Pellosniemi, Chairman of the Board of Fingertip, gave us an introduction to Social Decision-Making. Founding Partners Sebastian Langenskiöld and Pia Westerling and Product Owner Bhaanu Madhineni shared their stories about working in startups. Then we got to challenge ourselves with a real-life business problem about positioning, that we solved with Fingertip itself, of course! The case was planned by Aalto Fellows Matilde Pelkonen and Henri Sipilä. Adoption to Fingertip was instant and the teams provided excellent results with the case solutions. Overall, we learned and had a lot of fun. Most of us continued to enjoy Helsinki Day a bit longer! It has been a great start for summer and there’s a lot of exciting stuff ahead also!